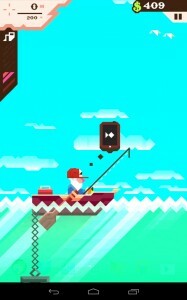 “Ridiculous Fishing” is a name well-earned by this initially unsuspecting game. Here, you take on the role of Billy, a fisher who is either an old man or a goat– truth be told, the game’s unique art style makes it a little difficult to be certain (and his name doesn’t help). Mind, this doesn’t actually harm the game in any way, and might even make it a little more endearing. Whatever the case, Billy is out to do what he does best. 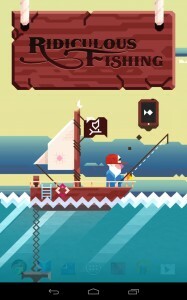 Getting things started is as simple as tapping the screen to cast your line. You’ll watch it drop into the water from a side perspective, and tilt your device left and right to avoid all the different fish you see on the way down. 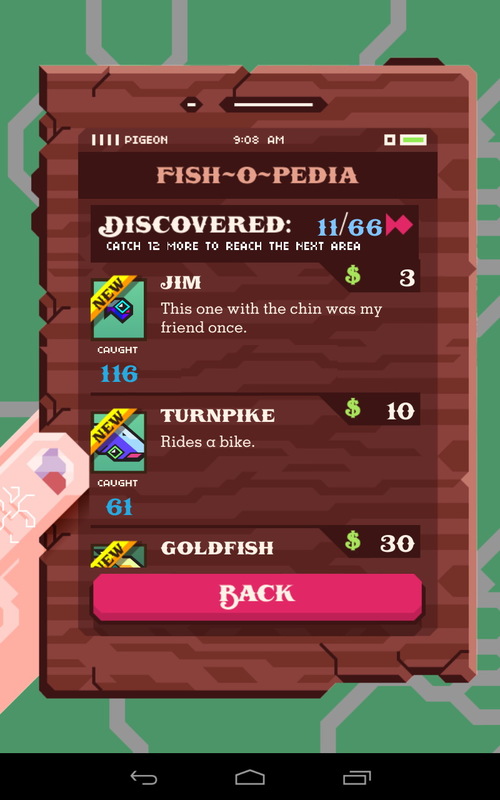 It sounds weird at first, but it makes sense, as when you either reach the full length of your (upgradeable) line or hook a fish, Billy begins pulling the line back up to the top. 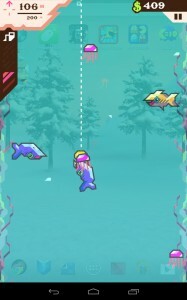 Using the same tilting mechanics, your goal is to now try to hook as many fish as you can on the way back up. 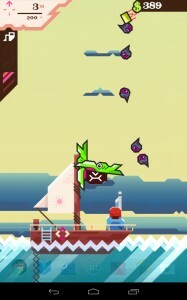 Once you’ve pulled the batch of aquatic life to the surface, the whole lot of them go flying into the air (or falling with style, if you so prefer). Sounds silly, right? But not quite ridiculous… yet. 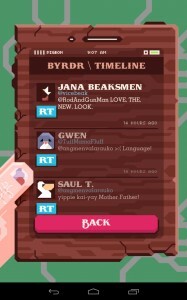 But here is where it gets ridiculous. That said, what do you do at this point? 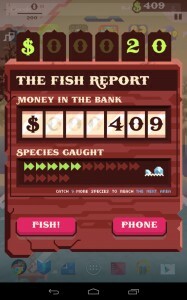 Do you pull out a net and try to catch as many fish as you can before they hit the water? Nope; you just pull out your pistol (or shotgun, or uzi, etc.) 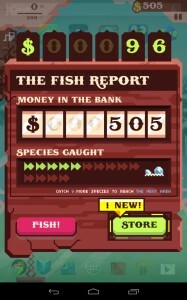 and “shoot the gills off ’em”! It almost feels like there should be a spoiler warning there, because if you go into this not knowing what to expect (though for the price, you probably should), it’s quite a surprise! 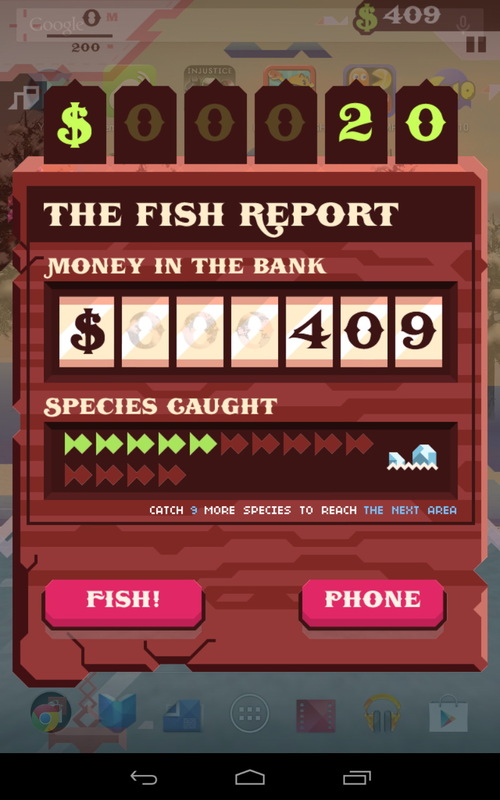 At this point, the more fish you blow to Kingdom Come, the more money you get… for some reason. Why the local shop prefers exploded fish over whole ones, we can only guess, but it’s a buyer’s market. 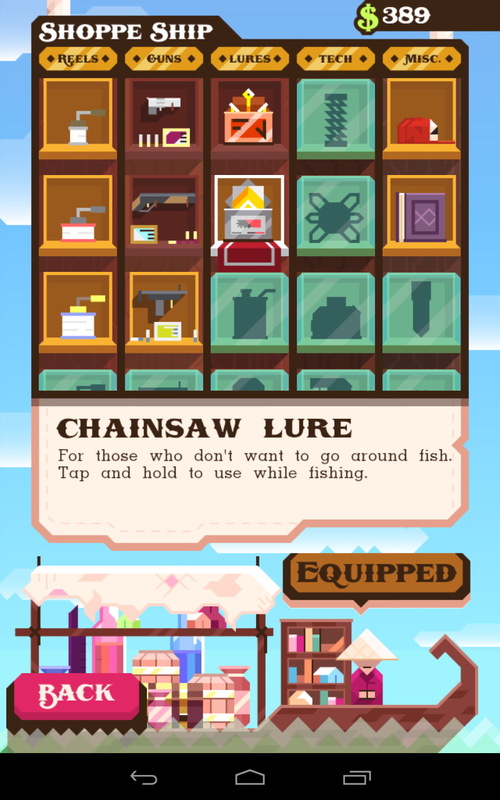 With your accumulated riches, you can upgrade your equipment with new lines, new lures (including a chainsaw lure, which cuts through any fish that might block your way down), new guns, new hats, and other odds and ends to further enhance your ridiculous fishing skills. 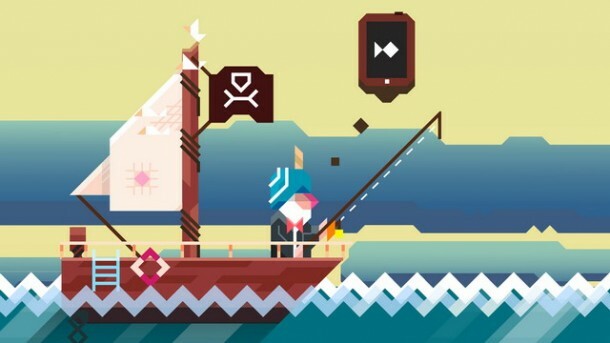 While the gameplay is simple, there is a method of progression. 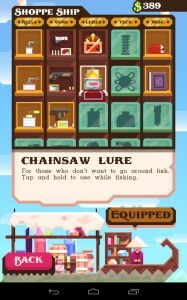 As noted, you earn money to buy better equipment, including longer lines and different lures. This is important, as such equipment allows you to fish deeper and deeper still. 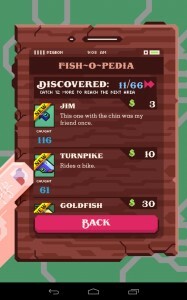 The deeper you go, the more new kinds of fish and other aquatic life you’ll uncover. 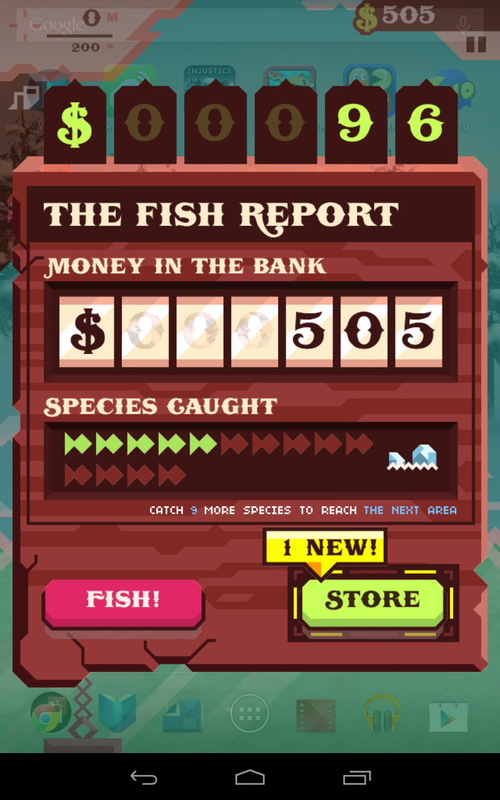 With this, your goal in each region is to catch a certain number of different species to unlock the next region, where you’ll have even more fish to discover (and annihilate). Another fun little feature which doesn’t serve much purpose, but is amusing nonetheless, is the phone/tablet Billy carries with him. 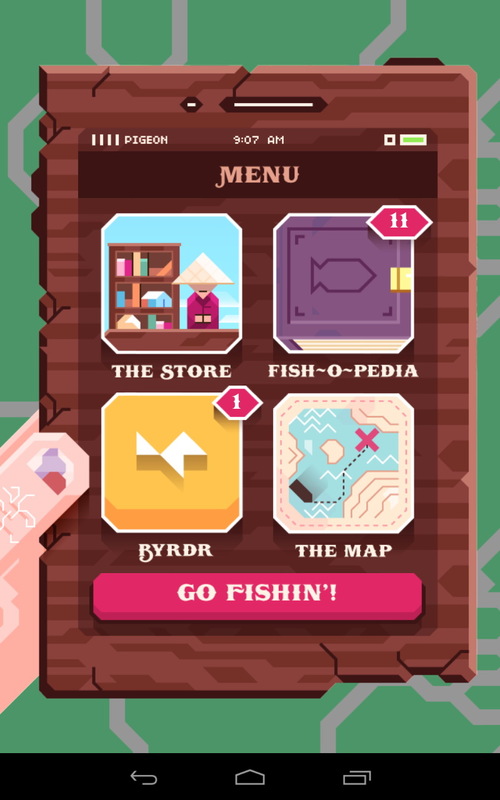 It looks old, broken, and decrepit, but provides you with a region map, access to the in-game shop (which thankfully lacks in-app purchases), and the helpful Fish-o-pedia, for keeping track of what you’ve caught. There is also Twit– er, “Byrdr”, which is a messaging app that allows Billy to stay in touch with his friends, updating in real time (reel time?) 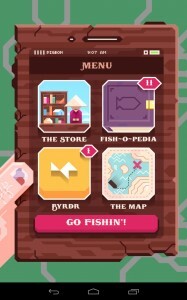 as you get new equipment and progress through the game. One other strange feature involves the graphics. 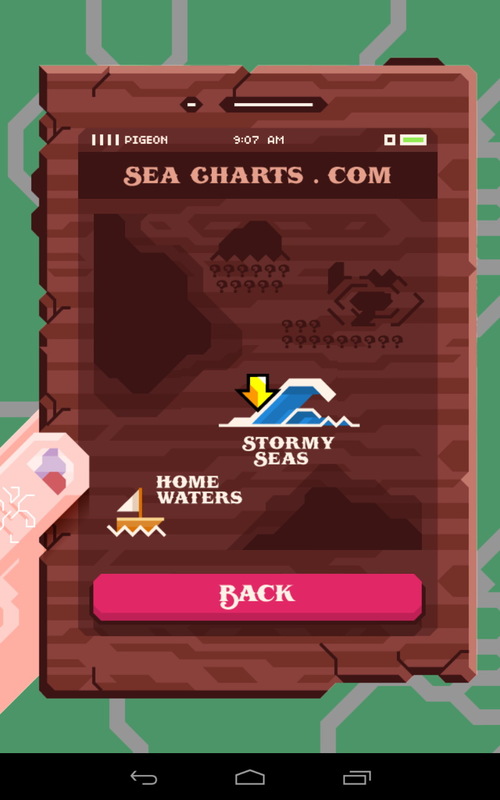 The game carries a slightly-abstract style, as noted above, but it also features an interesting transparency which shows the icons and background of your device through the water and other similar layers in the playing field. It’s an interesting touch, though one has to wonder if showing it is what contributes to the game’s considerable battery consumption– particularly if you’re already using an interactive/animated wallpaper in the background. Great Catch, or Throw It Back? Ridiculous Fishing is a simple and fun game, though the current price on the Google Play store feels just a little steep. Nonetheless, there’s a pretty good amount of content to enjoy here with a real and appreciable sense of progression, and it’s fun to play in spurts here and there.